Study finds 14% of UK consumers pay for music streaming services | What Hi-Fi? A study of 15,000 British people has found that only 14 per cent of the population pays for a music subscription service, while one in 10 regularly borrow someone else’s account. 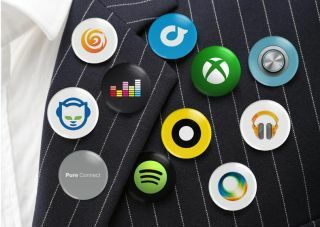 The survey, conducted by Kantar Worldpanel Entertainment, also backed up results from an ICM poll carried out earlier in the year by saying 42 per cent of people who paid to stream music still buy it in other formats. The ICM poll found that nearly half of those that bought vinyl records listened to the album on a streaming service before buying it on a physical format. It may come as no surprise that Spotify is the dominant streaming service in the UK, with a hold on 62 per cent of the market and a 25 per cent year-on-year increase for paid subscriptions. According to Music Week, Spotify has now surpassed 100 million active users worldwide. But with Apple Music seemingly gaining a million new users a month, the competition is hotting up. There’s good news for CDs too, with the report finding that 23 per cent of the British public still buy them, although 64 per cent of those who do were over 40. Clearly the kids prefer the convenience of instantly accessing almost any song they want. Fiona Keenan, insight director at Kantar Worldpanel, says: "Shoppers have come back to the CD this year, with almost a quarter of the population buying CD albums." "Yet while there are still CD fans who buy discs frequently, at the other end of the spectrum is the type of consumer that's only drawn to the biggest releases. 36 per cent of those who bought Adele's 25 on CD in its first month of release hadn't bought a single physical album in the year prior." The streaming market in the UK is certainly huge, as the BPI reports that 53.7 billion songs were streamed in 2015, which roughly equates to 1000 songs played in every one of the UK’s 27 million homes.